Hope Clinic is supported financially by over 1,000 individuals, businesses, churches, foundations and grants each year with another 200+ active volunteers. On-site group volunteering: throughout the year we have a few Saturday mornings and various weekdays set aside for group volunteer opportunities and projects. If your group is interested, click here to see what dates are available and sign up. Once the sign up below is full, groups should look for another organization to serve as no additional group volunteer opportunities will be created just for your group. We want to ensure your group is volunteering with us in a meaningful way that benefits our organization and your members. Some additional opportunities may be posted as needed by Hope Clinic. Dates and projects are subject to change. If your group has signed up for a date or activity that Hope Clinic changes, Megan Snell will contact you to let you know of the changes made. Dates not filled by THE WEDNESDAY BEFORE will be canceled. Host a baby bottle campaign: participating in a baby bottle campaign fundraiser not only gives money to Hope Clinic’s most urgent needs, it also can serve as an opportunity to engage families in the importance of supporting local charities in a fun, visual way. Lead a clothing/diaper drive: our maternity/baby room provides our clients with all the practical support they need in their new role as a parent from diaper and wipes to maternity clothes and strollers. A list of top items is given to your group which can be dropped off at Hope Clinic during normal business hours. Help with our mailings: we put out different mailing pieces seasonally and need a ton of help making sure envelopes are stuffed and sealed for the post office. Specific dates are determined a few weeks before the mailing, and we offer shifts during the morning and day. 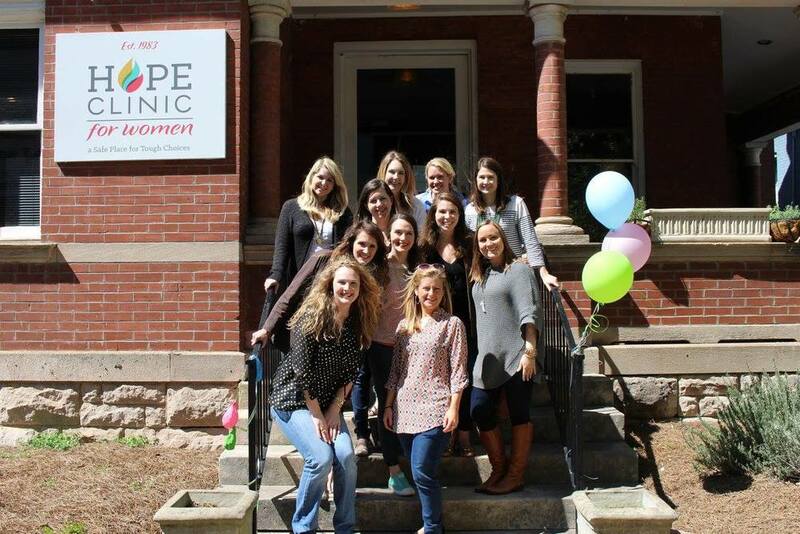 For more information on how your group can get involved, contact Megan snell at msnell@hopeclinicforwomen.org or 615.627.2790.